Rotary District Governor DJ Sun, New Club Member Sandy Rodriguez, Club President Marcela Paez, New Club Member Raquel Castro, and Lawndale Mayor Robert Pullen-Miles. Rotary District 5280 Governor, DJ Sun and Lawndale Mayor Robert Pullen-Miles visited the Lawndale Rotary Club today to welcome our newest members. 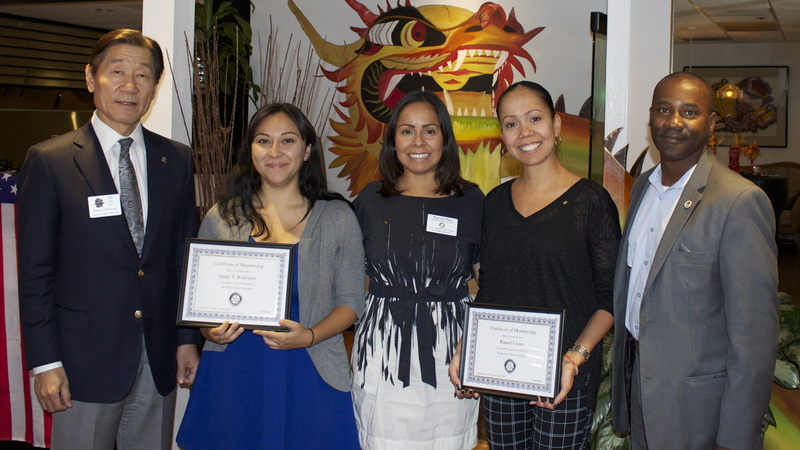 Sandy Rodriguez and Raquel Castro are the latest additions to the Lawndale Rotary Club. 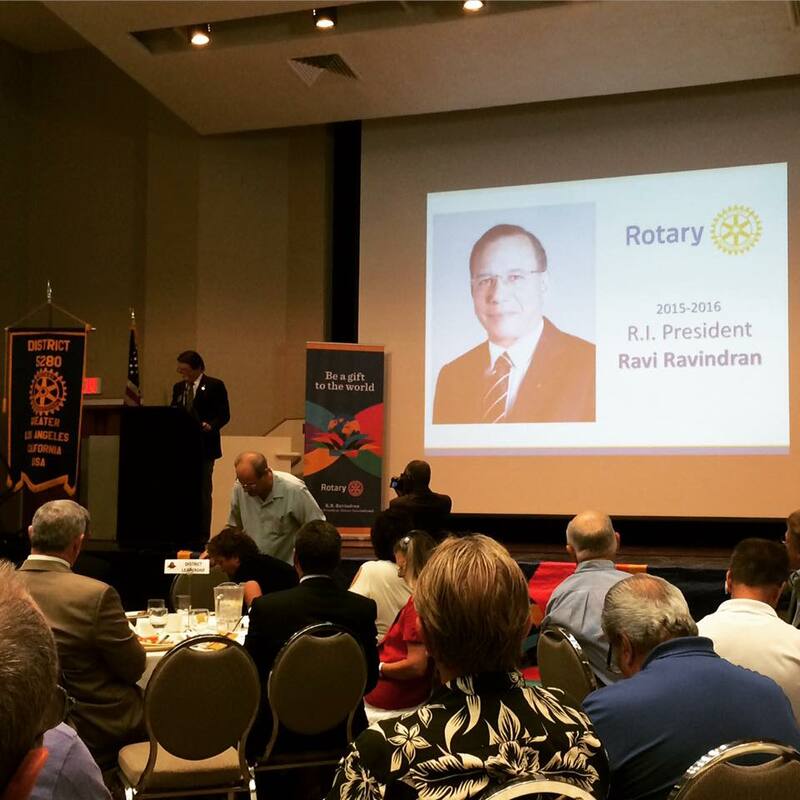 The Lawndale Rotary club is committed to “Service Above Self” and serving other both locally and around the globe. Contact us to learn how you can be a part of the great organization, or just join us for lunch to learn more. 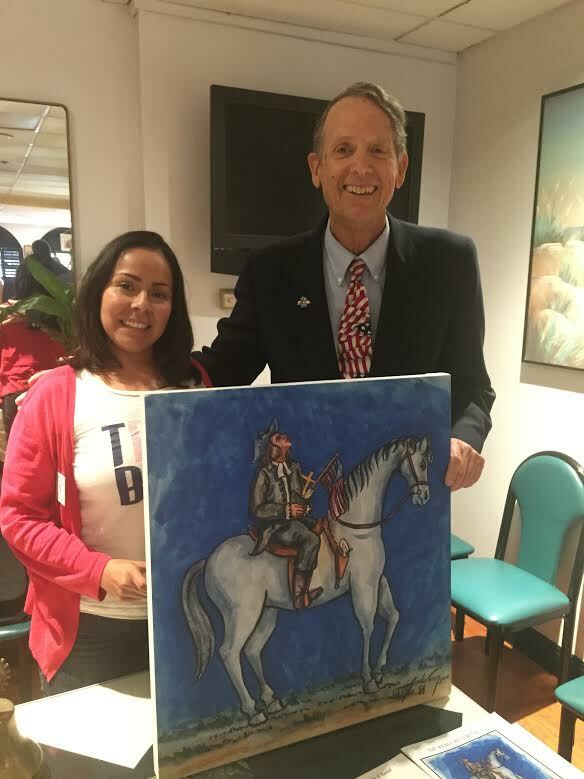 [PHOTO] Current Lawndale Rotary President, Marcela, with speaker, Craig. Pulitzer prize nomine, speaker and author, Craig McDonald speaks about the American history of Rebel Reverend James Caldwell. Join us at a future meeting as a guest or speaker! The Rotary Club of Lawndale is sponsoring a local garden project lead by Eagle Scout Candidate, Kyle Kelly from BSA Troop 927. 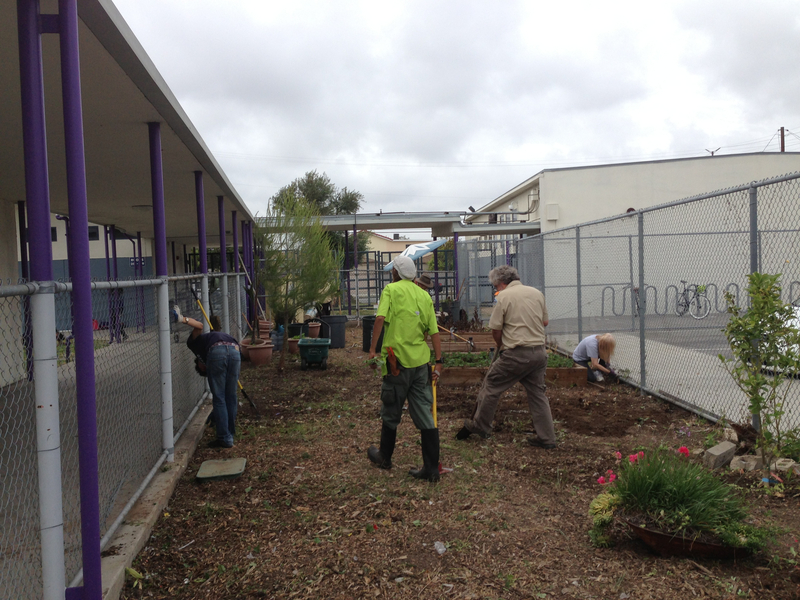 Kyle and his crew kicked off the Prep work yesterday at Will Rogers Middle School in Lawndale. The project will restore a garden at the school that was installed several years ago by Sharefest Community Development and OCF Church of El Segundo. Unfortunately, the Master Gardener that was in charge of leading the students and maintaining the garden moved and the garden became overgrown, essentially abandoned. Kyle Kelly saw the opportunity to bring it back. In a creative effort of bringing numerous community stake holders together, Kyle asked the RAP (Reaching Your Amazing Potential) after school program at Will Rogers to take responsibility for maintaining the garden once it is restored. He has worked the Lawndale Elementary School District, the Rotary Club of Lawndale, and Sharefest to bring together his small army of volunteers and organizations to see this project completed. As volunteers began cleaning the garden yesterday in preparation for the May 3rd Sharefest workday, students on the campus were excitedly asking if the garden was coming back. Students participating in the RAP came by and expressed their commitment to maintaining the garden going forward. 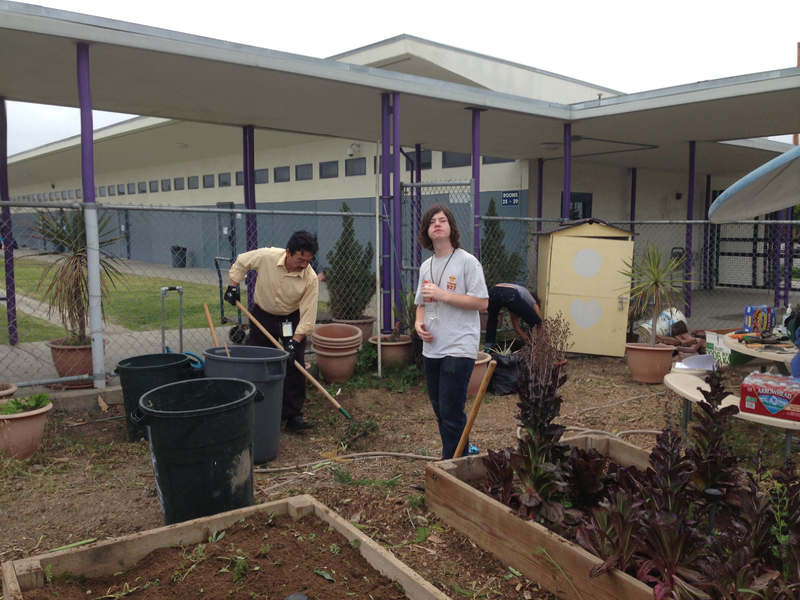 The Rotary Club of Lawndale is proud to be sponsoring Kyle, and partnering with Sharefest to bring this garden back. Today, The Rotary Club of Lawndale recognized 11 Paul Harris Fellows. The Paul Harris Foundation recognizes individuals that have contributed above a specific amount to the Rotary Foundation or someone a donor feels deserves recognition because of their commitment to Rotary and it’s ideal of Service Above Self. The Rotary Club of Lawndale is proud to be able to recognize such generous individuals. Through their support and millions like them The Rotary International Fund was able to raise more than $230 million dollars. More than 175 millions dollars was spent directly for ongoing programs such as End Polio Now, local educational efforts and disaster relief. The Rotary International fund has a goal of $1 billion for it’s endowment fund. 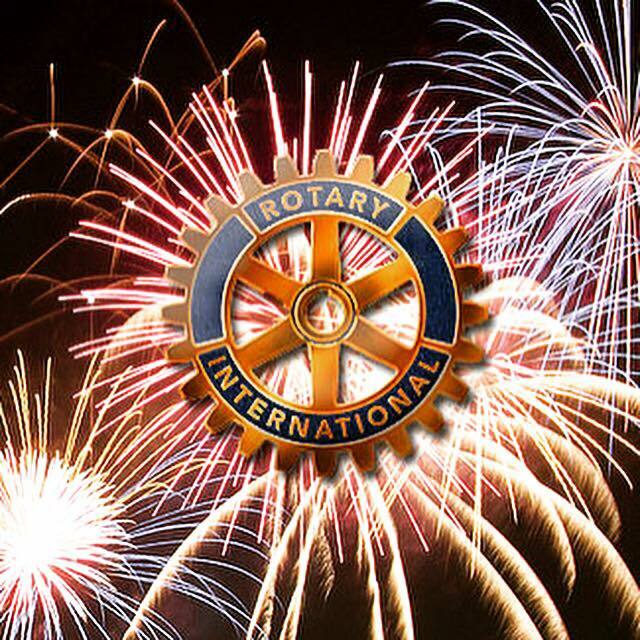 For more detailed information please visit Rotary Internationals Financials page.